An intensive 10-14 day program designed to earn you the Instrument Rating. Although Hawaii is known for its amazing VFR flying and scenery, the environment is also perfectly suited for practicing multiple repetitive approaches in the IFR environment. ​This includes smaller Class D and E airports, as well as the 12th busiest Class B airport in the nation, Honolulu International. Many of our clients say the best part of training for the IFR ticket, is that you will take your lunch breaks on a different island and different airports during the period. Blessed with excellent crosswinds, you will tackle holding patterns and missed approaches in conditions that will give you confidence back home. 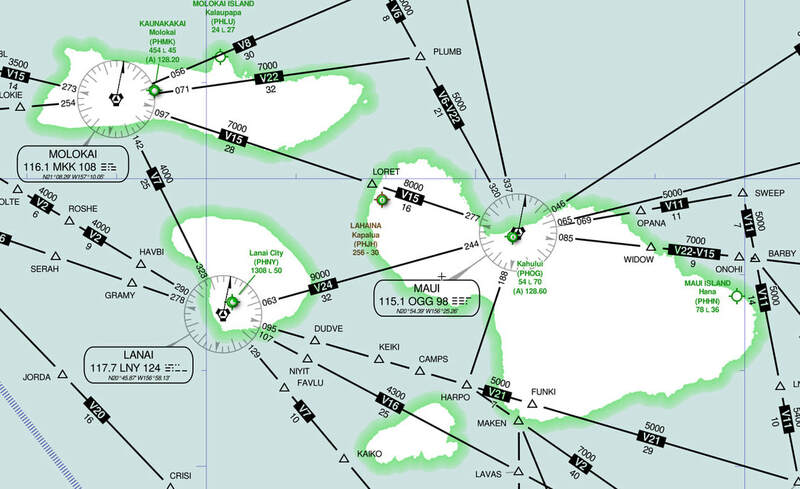 Flying in actual IFR conditions is encouraged and one of the benefits of flying in the clouds and rain on the islands is the lack of icing or severe thunderstorms. This provides for a low stress learning environment. Nighttime on the islands in VFR conditions might as well be IFR, and you will have the benefit (without the hood on) to gain the experience of over water night flying, with no horizon. Our 24 lesson, 40 flight hour curriculum culminates with the check-ride. Your cost may be lower or higher depending upon what you have logged prior and what can be credited towards the rating. Please inquire for more details. Avgas in Hawaii is more expensive than the mainland. A custom quote can be made for your situation. Serious inquiries only please. We require that you pass the Instrument Written Exam prior to commencement of training. Training conducted in an Avidyne equipped 2007 Cirrus SR22 G3 GTS-x with air conditioning. Ideally we begin the day at 8am, for (3) 1 hour sorties a day, with 1 hour pre and post flight briefings. Some flights will be conducted at night depending on weather, scheduling and maintenance. All our instructors become involved in the training, and you may fly with one or two other instructors as a pre-checkride prep. Check ride fee of $750 is paid directly to examiner, which includes his airline tickets to Maui. Disclaimer: Of course, there are no guarantees that you will pass the check ride, and we will make every effort to touch up any failing issues, should they occur. It is always at the CFII discretion to sign you off for the examination. Should a delay be incurred for inclement weather or unscheduled maintenance, be prepared to extend your stay to complete the course.